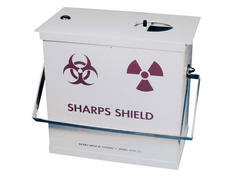 A simple way to dispose of used syringes that may be contaminated with low-energy gamma and beta radiation residue. 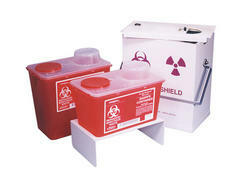 Useful for storing used syringes, alcohol wipes, etc., that may be contaminated with low-energy gamma or beta radiation residue prior to disposal. 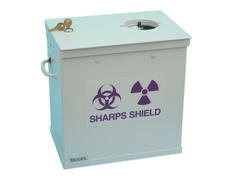 A simple way to dispose of used syringes that may contain low energy gamma radiation residue. 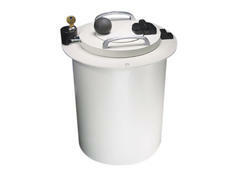 A simple, safe and convenient solution for disposal of syringes that have been contaminated with high-energy radionuclides. A simple, safe and convenient solution for disposal of used syringes that may be contaminated with high-energy isotopes such as I-131.